Leon is a serious but easy-going fellow, friendly to most people while also honest about what he thinks about people or situations he's confronted with, which can be problematic if those are what he considers "bad". The things Leon loves most in life are piloting his Mobile Suit while staying idle in space, and spending time with his crewmates, whom he views as his family, and will do anything he can to help them if need arises. Battle Strategist: Leon was never taught proper MS combat, and as such, will usually come up with battle plans on the fly if his current strategy isn't working. Couple Protector: Because of his complicated love life, Leon will protect any couple he sees from any harm that comes their way, even if he was just fighting them, and will stop what he's doing to get them to safety. He will also refuse to kill anyone that has a lover. Main Target: In order to minimize the number of victims in an all-out fight, Leon will target the enemy leaders or figureheads to make the rest retreat. This leads him to fight opponents much stronger than he is. 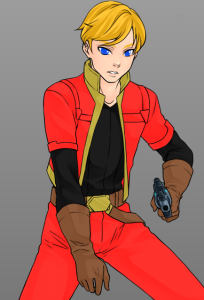 Leon is a blond-haired, blue-eyed man that usually wears a black shirt, red pants, a red and gold jacket, and a gun holster strapped to his belt. Leon was born sometime in UC 0067, in a Zeon colony, which was attacked by space pirates when he was only a few months old. One of the pirates decided that a child this young didn't deserve to die, and adopted him. For all his life, the only home Leon has truly known was the interior of a rusty old spaceship. He was the only child on the crew, and quickly had to learn to fight and fix problems from a young age. When he was 15, Leon managed to salvage the wreckage of a Zaku that was drifting in space, and customized it. He became proficient with the Mobile Suit, and became the crew's ace in the hole, heading out to battle only when the situation became dire. When he was 18, Leon's adoptive father died, and, while on his deathbed, told him the truth of his origins. Leon didn't pay it any mind, as he already thought of Zero Sky as his one true family. A few months afterwards, he was deployed into battle and was shot down by a cannon. He crashed into a Side 6 colony, and was found by an orphaned young woman named Lena Shire. The two of them became close quickly because of their similar backgrounds, and when Leon managed to repair his Mobile Suit, he took her with him onto the Zero Sky crew's main ship. She lived there for a few months, and the two of them developped strong feelings for each other, but tragedy eventually struck, as Lena was killed in the crossfire of a raging battle between Zero Sky and Federation Mobile Suits. A few days after Leon turned 20, the crew became business partners with Zeon, and is now helping them in battle when needed. MS-0X Zero Sky Zaku: Leon's customized black Zaku II with a big, white zero painted on its back. Revolver: An old, gunpowder-using six shooter that Leon carries around for "good luck". sky pirates? I knew i shoulda replayed ff12 when i had the chance. I'd work on the history a bit, maybe split up the last paragraph and add more depth to the romance and wieght to it. It's a decent start but you'll need to flesh it out. This doesn't say much about his personality. This doesn't say much about him as a person. How did he appear nice and friendly to enemies? Everyone would fight more seriously against an opponent. Why would opponents surrender and run away? This is war, not some video game. Flashy Pilot: Leon is a pretty great pilot, and loves to show off. Couple Protector: Because of his complicated love life, Leon will protect any couple he sees from any harm that comes their way, even if he was just fighting them. Which are the strengths and which are the weaknesses? More importantly, why are there strengths or weaknesses? You need to use this to shape him into a believable character. If that is his fighting style I doubt he would have graduated from the mobile suit academy, not to mention being allowed in a battlefield. You might want to think that part over. Any updates after the previous comments? Please check this thread about the RP. Only the AEUG and Neo Zeon are available as faction choices. Valiant just created a character that's a mercenary for the AEUG. 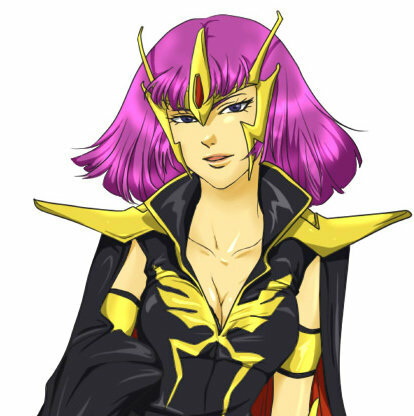 Maybe the Sky Pirates can be mercenaries employed by Neo Zeon? Changed the faction and added a line in the history part to go with it. Hair: Light auburn bordering on orange, but a close shave around the sides and back of his head suggest his hair was originally a much darker brown. Teo is a guarded individual, having grown up resenting the silver spoon put in his mouth from an early age. He dislikes being patronized for being of affluent blood, and would much rather prefer people talk to him as a regular man. He is, however due to his sheltered upbringing, quite naive, and believes things to be more black and white as opposed to shades of grey. Teo is a gifted engineer, having taken after his father, Rasmus Nygaard. He has an intimate understanding of machinery and electronics. However, he is physically quite frail, possessing a significant limp. His resentful personality also tends to get him into heated situations quite easily, landing him in trouble more often than not. Teo Nygaard is a fairly tall individual of Scandinavian blood, possessing pleasant features: soft grey eyes that mask a purposeful determination and trimmed auburn hair. He is often seen holding a small cane to aid his walk in gravity environments, though he tries his best to keep his back straight and walk tall. When not wearing a Neo Zeon uniform, Teo is dressed in comfortable, if not expensive civilian clothing. Born on August 12, UC 0067, Teo Nygaard is the only son of Rasmus Nygaard, and one in a long line of heirs to the leadership of the Nygaard Concern, a heavy industries manufacturing company established at the dawn of the Universal Century to build components for Space Colonies. Eventually, the Nygaard Concern would be absorbed into Zeonic to produce mobile suits, though by 0080, Rasmus Nygaard would buy the Concern back from Anaheim Electronics. 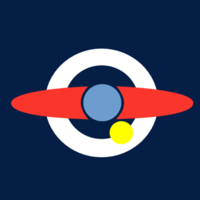 From then on, the Nygaard Concern would be synonymous with mobile suit customization, with several Earth Sphere aces attributing the high performance of their custom machines to the work of the Concern. Teo would be brought into a world of luxury; his every need and want fulfilled as he was attended to by a legion of servants, even as the world around him floundered. However, after being near endlessly mocked and ostracized by his peers for being 'the rich kid', Teo begun to resent his upbringing. Due to the status of his family, he would be largely untouched by the horrors of the One Year War, though as the frontlines shifted, the Nygaard family would find themselves moved from colony to colony, eventually taking residence in Axis at the end of the War. It would be here, in the rough-and-tumble refuge of the survivors of Zeon that Teo's resentment of his heritage grew and grew. When he was old enough to enlist, he would join the draft, looking to serve as a common soldier, but ironically, his position in high society, and his limp, would land him a spot in Neo Zeon's officer academy, where he would graduate as an Ensign. Not one to throw away an opportunity for business, his father, Rasmus, would position his son as an advisor to Neo Zeon's corps of engineers; effectively a salesman for the Nygaard Concern's products and services. 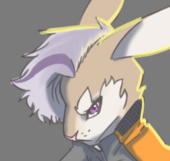 This angered Teo, who would often shirk his duties in an attempt to get himself either demoted or discharged, but the near-constant meddling from his father as a beneficiary of the Army would keep him firmly in place as an Ensign. When the war against the Earth Federation had finally begun in UC 0088, Teo would quickly find a way to stick it to his father and the Nygaard Concern, this time as a mobile suit pilot, but once again, meddling from his father would have him playing right into the Concern's hands: instead of a standard issue mobile suit, Teo would be at the helm of one customized by the Concern as a show of force from the company. Still adamant in his desire to break free from his heritage, Teo would endeavor to never score a single kill in his mobile suit. A necklace made from a small pewter ring he was given by a close friend when they were children. An MS-14Jg Gelgoog modified by the Nygaard Concern. Equipped with improved armor and an impressive array of thrusters, the Gelgoog [Stutzer]/Nygaard can go toe-to-toe with its modern contemporaries, like the Gaza-C despite its age. This unit was assigned to Teo to demonstrate the effectiveness of the Nygaard Concern's mobile suit modification services. Designed after the X-04 Beam Machine Gun Prototype developed for the AGX-04 Gerbera Tetra, and earlier RX-78GP04 Gundam Gerbera, this Nygaard Concern copy functions much in the same manner as its Anaheim Electronics counterpart, though its power consumption is scaled down to allow the Gelgoog's older generator to operate it, thus its effectiveness at longer ranges is questionable. This iconic melee weapon has been modified by the Nygaard Concern to be capable of splitting into two separate beam sabers by way of a decoupling unit in the shaft and the replacement of the single battery with two at each end. Originally conceived as a component for mobile workers, the Nygaard Concern has seen fit to equip the Gelgoog [Stutzer]/Nygaard with a grapple wire, possessing many uses in both combat and noncombat applications.